UNITED KINGDOM: The High Court in London has found that the UK National Crime Agency (NCA) violated regulations in supplying information to Thai police working on the Koh Tao murder case. The court said yesterday (Aug 29) that the UK police gave information on the whereabouts of David Miller’s phone to Thai investigators, the data that helped prosecutors to prove that the Myanmar suspects and Miller were in the same area, the Guardian reported. 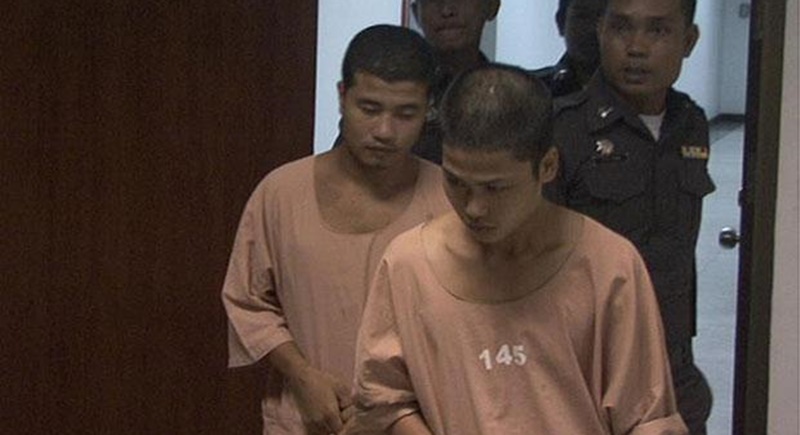 The case was taken to the court by lawyers working for Zaw Lin and Win Zaw Htun, also known as Win Phyo, who face the death sentences on murdering British backpackers Miller, 24, and Hannah Witheridge, 23, on the island in Surat Thani province on Sept 15, 2014. The Appeal Court in March upheld the lower court’s ruling and the Supreme Court is undecided whether the appeal will be accepted for consideration or thrown out. Amporn Sungthog, lawyer for the two Myanmar nationals, filed the final appeal with the Supreme Court on Aug 21. The UK government has tight restrictions on British investigators helping colleagues in countries having the death penalty, according to the Guardian. The NCA, which is the UK’s equivalent of America’s FBI, admitted investigators acted unlawfully and should have consulted supervisors in charge of the agency, it added.